Who Else Wants These Best of Awesome & Cool Gadgets? Celluon Magic Cube! 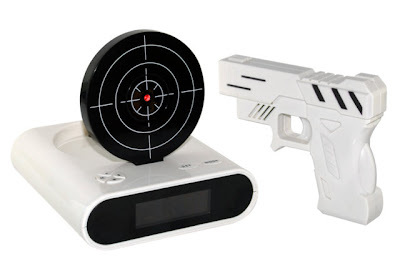 Who else wants these awesome, cool and geeky gadgets? You ? Okay! Now I will be guiding you through a list of gadgets that can be positioned with the above mentioned adjectives! If you are a person who likes to amaze your friends with your new gadgets then the following list is just for you. Lets get started! If you have seen the concept video of iPhone 5 that came out last year, the guy shows a concept in which the phone projects a working virtual keyboard. You can type in that projected keyboard just like any regular keyboard! Well, this is not a concept anymore but a reality! 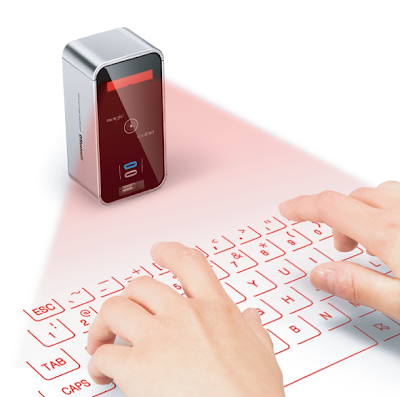 Celluon Magic Cube is a real world gadget which can project a virtual keyboard for you to type on. It is compatible with all the devices with Bluetooth support. I sometimes get the urge to shoot that annoying alarm clock and blow it off and most probably you might have also got the urges to do so. Well, this gadget will help you do the same without actually blowing up. Pressing the trigger will result in the alarm going off. When did the Mouse turn into a RAT?! (lol). 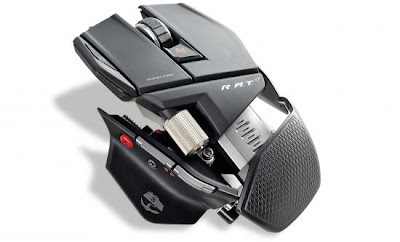 The Cyborg RAT Gaming Mouse (cool name!) is a fully customizable gaming mouse. You can customize the looks, weight, DPI and almost everything. Having this gadget on to your computer desk will turn your friends or family members into the "WOW Mode"! Do you use the regular USB Hub for your USB port needs? Why? 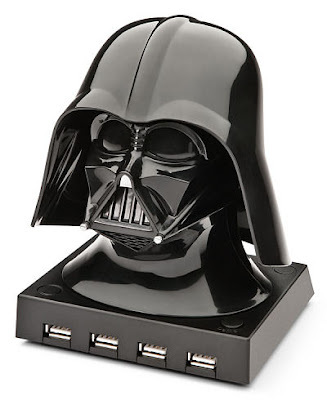 You must use Darth Vader USB hub because regular USB hubs are too mainstream! Camping? Trekking? Picnics? Fun under the Sun!? Are you into these things? 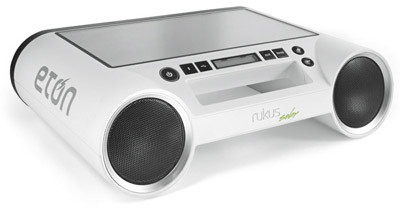 If yes, then you should get the Eton Rukus Solar Powered Bluetooth Wireless Speakers which will run as you have fun. Guess what?! This will also charge your iPhone. No matter where you are, you will never run out of power. So here you have it, some of my favorite and best of awesome, cool and geeky gadgets and tech. These gadgets can very well be used in your daily life. So, Which one is your favorite? Do you know any other cool gadget? Which one did you buy? Do let me know all of the that in the comments section below. Also share this with your friends and family on Facebook & Twitter to show them this list of awesome gadgets.